Day 6. 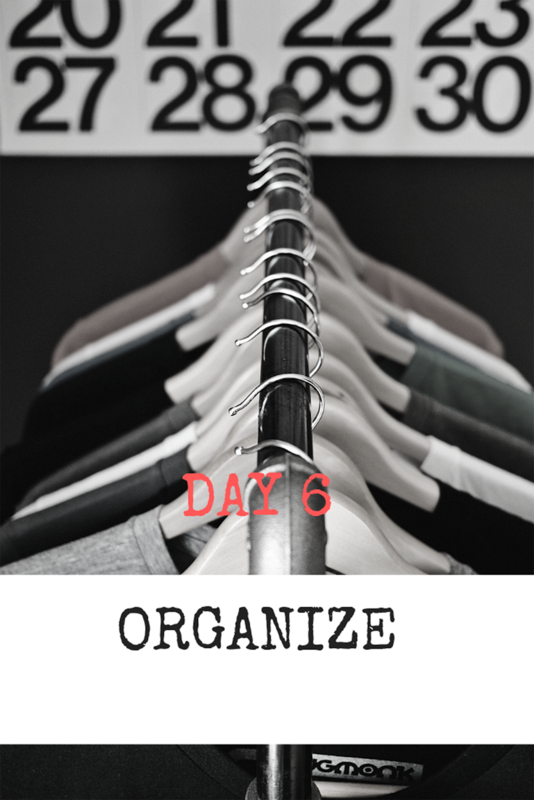 Organize and Declutter. Let go of something in your closet. I read somewhere that attachment to material things create a void inside you. Letting go of a thing or two from your closet is the start of escaping the prison of materialism. A visit to my walk-in closet and dressers made me realized that I have tons of clothes that I don’t wear anymore at all. As I organized, I made a decision of which clothes to let go. After hours of folding and arranging, twelve drawers, two ottoman storage, and a walk-in closet are more orderly. Simple action that made me feel more productive and efficient. Transform your house with this beautiful Autumn collection. Click here. Absolutely right! I'm planning to send most of my stuff in the Philippines and the other stuff will be donated in Goodwill. Worth your time doing it for sure! Oh yes this is so needed to every as the season changes. So this is a good idea to do. It's worth all the effort! Damn- I need to do this for sure! It's nice to free some space! Out with the old;in with new! Great message! Thank you. Letting go means letting something new in. Hardest thing ever! To let of anything from my closet, mission impossible! I felt tremendous relief after doing it. Wow! That's powerful... emptying your closet to empty hidden thoughts... Great post! Thank you! It lightens the burden. A short but good read. This article just reminded me to declutter already. Thank you! Hope the message came across! I need this kind of idea. I think I need to declutter my old clothes. Great post. Thank you. Letting go is not easy but so worth it. Thank you. More space for something better! Lol. This is the funniest comment ever! Great post. I am always cluttering because I hate clutter. What an interesting challenge! I am on board! Definitely! It's an overwhelming feeling of relief. I am really good at decluttering, I can do it in a day or less than a day. The only problem I have to face is that once I declutter, I end up storing them because I have problems with letting go. It's always like something has it's sentimental value that's so difficult to let go. LOL. Now, I need to declutter my storage area. Good for you. It takes years for me to keep things away. Decluttering is a very good activity that helps to clean your closet and your mind. I do quarterly decluttering and donated most of my stuffs. Sounds a really good idea! I declutter all the time, i truly think i have OCD lol. I need to have everything organized inorder for me to think clear. I have OCD, too! I need a lot of time to declutter. Goodwill sounds like the best place to bring it!